Of the 117,880 people employed by the rental, hiring, and real estate services industry, 64,698 are business brokers, property managers, principals, representatives and real estate agents. This is according to data gathered during the Australian Bureau of Statistics’ 2011 Census of Population and Housing Records. In every state of the continent, thousands of real estate agents help people to buy and sell their property every day. This often presents home buyers and sellers with the “paradox of choice”, as author and psychologist Barry Schwartz calls it. In his book, “The Paradox of Choice”, Schwartz explains how having many choices often leads to consumers experiencing inner conflict, and there is even the likelihood of not making a decision at all. When consumers have less choice, argues Schwartz, it is easier to make a decision. What are home buyers and sellers to do, then, with all the options that are available in terms of real estate agents that can help them buy or sell property? The internet has changed the way we buy and sell in general, and nowhere is this more evident than in the myriad of online real estate websites and portals. In the digital age, commerce has moved to the digital sphere, and for many home buyers and sellers this makes it even more difficult to decide which real estate agent is the best one to sell their property, or which estate agent is the best one to help them to look for real estate to buy. If you are looking to buy or sell a home, there is no need to feel overwhelmed by the sheer amount of real estate agents out there. In fact, there are ways to make the process less daunting. Here’s how. The internet may initially seem to have too many choices to comprehend, but it is also a treasure trove of information, and an important research tool. When you initially start your search for a real estate agent, it is important to first decide what exactly you are looking for. If you are planning to buy a home, there are a few important factors to consider before you start looking at potential properties. If you are planning to sell your home, you’ll need to decide what amount you want to sell for, but that is only the start of your selling journey. Selling your home comes with hidden costs you may not have planned for – make sure what these are, and plan accordingly. Once you know what you want from your real estate agent, you need to start doing research about the city and suburb where you are planning to buy and sell property. Find out what the median house prices are in that city or suburb to ensure you know what you can expect from a sale or purchase. Take into account that prices in the housing market are always fluctuating, and that using sources that quote home prices from previous years are out-dated and don’t give an accurate representation of the current housing market. Finding a real estate agent that has been operating in your suburb or city of choice will go a long way to elaborate on the research you have already done. Now is also a good time to start researching local estate agencies. Find out what agencies do business in the city or suburb you want to buy or sell in, but don’t just stick to the internet to find out what’s out there. Enquiring about trustworthy real estate agents from friends, family and acquaintances helps you to gauge people’s real impressions of real estate professionals in an area from their actual experiences when using a specific agent. Word of mouth is still an indispensable tool, even in the age of the internet. Familiarise yourself with terminology and phrases that your real estate agent is likely to use when discussing the sale or purchase of property with you. By empowering yourself with the language that real estate agents use, you guarantee that you understand what your agent is referring to, and can respond with confidence and knowledge. As the real estate world is full of terms that may be completely foreign to you, this will set your mind at ease more than you might expect. According to their website, the Real Estate Institute of Australia is the national professional association for Australia’s real estate sector. REIA is a politically non-aligned organisation that provides research and well-informed advice on a range of issues affecting the property market. REIA’s website is a great tool, whether you are looking to buy or sell your property. 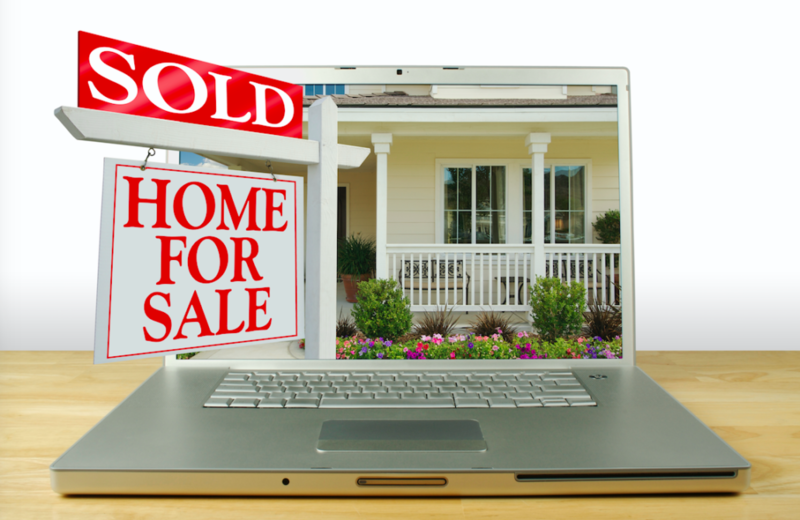 The World Wide Web has completely changed the way in which we find real estate agents. Many people believe that flesh-and-blood estate agents may one day be replaced, but artificially intelligent real estate agents haven’t quite caught on in Australia just yet. This is important to remember, because when you are looking for a real estate agent, you are also looking for a partner to assist you in a business venture. This should be someone you can trust completely, and because you decide to use a real estate agent for their expertise, they should also have extensive knowledge of the market you are planning to buy or sell in. Using an online real estate agent finder makes it easy to choose an agent according to your very specific needs and requirements. This tool allows you to specify characteristics that you are looking for in a real estate agent, and also to disclose detailed information about the property you are looking to buy or sell. This information will help to locate an agent that understands your needs, and is qualified to help you in the best way possible. Using an online real estate agent finder also gives you more, and better-tailored results than a general web search will provide. When looking for a real estate agent online, it is still important to use trusted real estate agencies. People who have used agents from particular agencies can give you the best impression, because they have already done business with them. In this regard, frequenting pages and groups on Facebook, Twitter and other social media platforms that relate to businesses in the suburb or city where you are looking to buy or sell, is a good idea. Keep in mind that these groups and pages sometimes contain comments from frustrated people who might have had one bad experience with a particular company or agency, and that this is not necessarily a good indication of the agency as a whole. However, when a particular agency consistently receives complaints, you should be wary of using them. Considering that one in three small businesses in Australia have a presence on Facebook, taking a good look at how agencies interact with clients on social media does say a lot about how they conduct their business. If an agency has dedicated staff that are tasked with dealing with client queries and complaints, it means that they probably take the same care when dealing with clients in real life, which is always a good sign – especially if a client is unhappy. Once you’ve received recommendations from the online agent finder you’ve used, having a look at the agency’s online presence can do a lot to help you make a final decision about which agent you are planning to use. Scrutinise the agency’s social media profiles for anything that seems untoward. So, you’ve received recommendations from your online agent finder, you have done some research about the agencies that these agents are employed by online, and you have a shortlist of potential real estate agents that can help you buy or sell property. The next step in the process is crucial, because it will give you an indication of whether you will be able to work with an agent to get the best possible outcome. 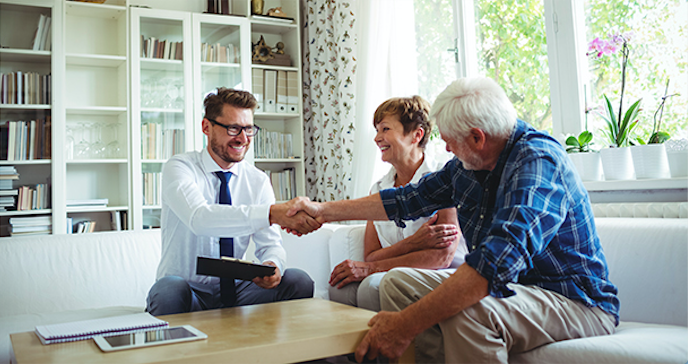 Conducting personal interviews with agents that have the potential of helping you buy or sell takes the process of finding an estate agent online into the real world. As we mentioned earlier, this is a person whom you are essentially going into a business partnership with. If you had to partner with someone in any other business venture, you would want to fully trust the person, and you would want to know that the person clearly understands your needs in terms of the endeavour that you are undertaking. When buying or selling real estate, there are large amounts of money involved, which doesn’t really make it very different from other types of big transactions or business pursuits. This is why thorough interviews are of the utmost importance. Online real estate finders often recommend the magic number of three real estate agents, but you should ultimately keep on searching until you’ve found your perfect fit. How many real estate agents you decide to interview is up to you, and opinions about this vary, but some experts recommend that you interview more than two, but less than six – and at least one more if you think you’ve found “the one”, just to be sure. Asking this question will give you an idea of the real estate agent’s experience. Ideally, you are looking for someone that has a few years of experience in buying and selling homes. Inexperienced agents are not necessarily bad agents, but you’ll feel more secure using someone who has literally been around the block. 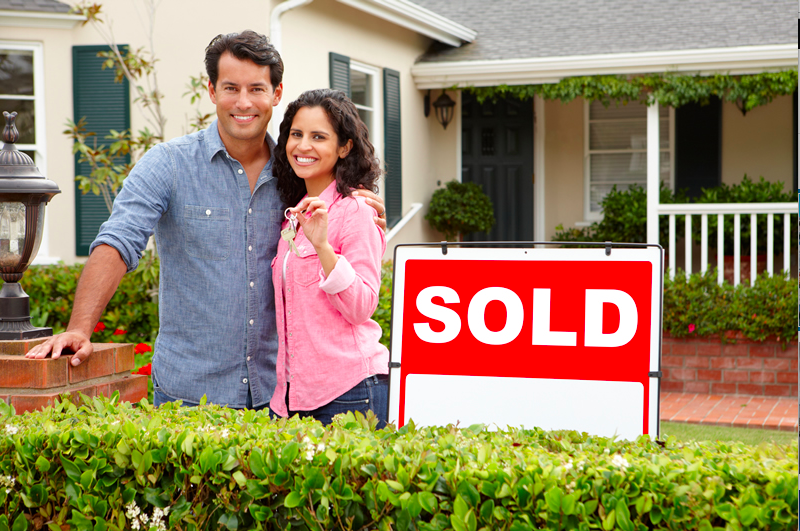 Are you a qualified real estate agent, and in which states are you licensed? If an agent does not have the necessary real estate qualifications, you should absolutely not use them. 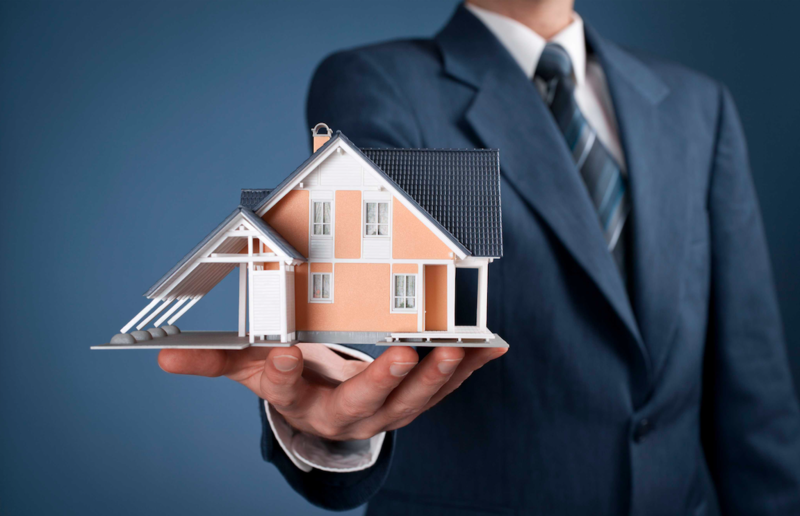 Having completed the necessary training is non-negotiable for a real estate agent, and finding out in which states they are licensed to do business will ensure that a so-called agent does not take you for an expensive ride which doesn’t end in you not selling your property or acquiring a house. Luckily, many online agent finders already do the work for you by doing extensive due diligence on all the agents they recommend. How many properties have you sold in the last six months? Asking this question will give you an idea of how good the real estate agent is at doing his or her job. You want to hear that they have sold a number of properties. One or two does not spell great success for you. Enquire about the state of the property market in the suburb or city you want to buy or sell in. If an agent cannot give you a clear answer, it might mean that they aren’t up to date about the latest developments in the property market they work in, which should sound warning bells. What are your personal strengths as a real estate agent? This is a pretty standard interview question, but what you actually want to find out with this question is whether they can sell. If they can sell their services to you, they might just be able to sell your house. Good communication is one of the key skills a real estate agent should possess, and if they aren’t able to communicate with you clearly, succinctly and convincingly, they might not be able to communicate your needs to potential buyers and sellers. If you are looking for an agent to help you sell your property, you’ll want to elaborate on this question by asking the agent how they got to the amount they give you. That will give you a good idea of the type of knowledge and expertise they have about the property market. Because you’ve already done your research about property prices in your area, you’ll know if they are on mark or not. Now is also a good time to enquire as to how they plan to market your property in order to get the price you’re asking for. Interviewing agents is a time-consuming process, but you really shouldn’t skip this step in the process. Finding an agent online is very easy, but, as we have learnt from social media, it is always better to see someone in person before making a final decision, as an online profile always tries to create the best impression. Their personality is important – both when working with you and when working with potential buyers and sellers. This is simply something you can’t ascertain from profiles on the internet. Reading through an agent’s references will tell you how satisfied the agent’s previous clients were with their services. Ask the agents you’re interviewing to bring references to the interview ahead of time. During your interview, you can ask the agent what complications they’ve experienced with previous sales, and how they could have improved on what happened. Listen to their answers carefully. Defensiveness and a lack of suggestions for improvement are not good colours on agents that have to work with people, and assist you in the negotiation process. You also need to ask the agent to bring along documents that verify their accreditation. Remember to not take this on face value, and to check an agent’s accreditation after they’ve given you the information you need to do so. You can check the public register of the different states online to verify an agent’s accreditation. New South Wales, Victoria, South Australia, Western Australia, Tasmania, the Northern Territory and Queensland all provide the opportunity to check online to see if a real estate agent’s licence is valid. During your interview with potential real estate agents, you will need to be very clear about what you expect and are looking for in a real estate professional. During this part of the interview, you might want to enquire about the agent’s commission on sales. Commission structures vary all across Australia and even among different agencies, so you’ll want to confirm what percentage of commission the different agents will be charging, as this will certainly have an influence on your decision. Confirm what commission structure – fixed or tiered – the agent will be using. Some agencies also charge additional fees on top of the commission – find out what these are, if there are any. If you want to negotiate about the agent’s commission, this is the time to do it. However, remember that commission structures are often decided on by the agency and not the agent, and are therefore not necessarily up for negotiation. When making your final decision, keep in mind that using the cheapest agent doesn’t always guarantee that you’ll get the best price for your property, or get the best deal on a new property. In the end, you’ll get what you pay for, and if you are paying an agent commission that is much lower than other agents you interviewed, it may well be because their services are subpar when compared to the service of their peers. Real estate agents are a dime a dozen. This poses a unique challenge to property buyers and sellers, as an abundance of choice often makes it much more difficult to make a final decision. Thankfully, online agent finders make it much easier for buyers and sellers to sift through the thousands of agents that do business in the different states, cities and suburbs. By using stringent measures to ensure that the recommendations they make are the very best, online real estate agent finders take the hassle out of looking for agents that are licensed, and have the necessary accreditation, expertise and experience. Although most of the leg work can be done by using a real estate agent finder like Perfect Agent, that still does not guarantee that you and an agent get along and understand each other. This is why the interview process is indispensable – even in a time where we can do almost anything online. An online real estate agent finder is just the first step in a process that will take some time. When interviewing candidates, home buyers and sellers should always keep it in the back of their minds that they will be spending significant amounts of time with this person. Your perfect agent will have a personality that you can identify with. This person is someone that you can speak to openly and without holding back. Still, simply liking someone does not mean that they will be the right real estate agent to help you find the property you are looking for or help you sell your property at the highest possible price. This will be decided by their knowledge of the local and national property market, and their experience of working in it. An agent’s license and accreditation should always be checked – this can also be done online – to avoid unfortunate instances where swindlers who pretend to be real estate agents take home buyers and sellers for a ride that will cost them dearly in time, money and peace of mind. An experienced and qualified real estate agent can be the most significant factor when you decide to buy or sell a property. Unless you have all the knowledge and skills of an actual real estate agent you really cannot afford not to get someone to help you navigate the sometimes-stormy waters of the property market. Once you do find an agent that understands your clearly communicated needs, though, your property journey will be all smooth sailing – save the choppy waves of actually moving! If you are looking for a real estate agent you can trust to help you sell your property at the very best price, Perfect Agent’s database of qualified and experienced agents is sure to have someone who is your perfect fit. Contact us, and we’ll help to turn the tide of your selling voyage.